Baking is both a science and an art—food scales, baker's percentages, and fermentation temperatures are crucial to successful pastry, and some might argue that presentation is the most judgment-worthy part of the whole process. Finding the right gifts for bakers is another art in itself, so we spoke with Judy Kim, food stylist and baker extraordinaire, to get some ideas. Below are the best baking gifts to give, no matter if the recipient swears by back-of-the-box recipes or nurtures their sourdough motherdaily. Maybe your recipient's cakes and tarts are like works of art, maybe they’re not. Either way, chances are they’ve put time and effort into the presentation, and it would be a shame for their hard work to crumble during transport to its final destination. This handcrafted, reusable raw pine box—designed to safely transport pies—is an excellent (and fashionable) way to make sure baked goods remains intact and beautiful. You can even opt for including the leather strap, which loops around the box for easy toting. 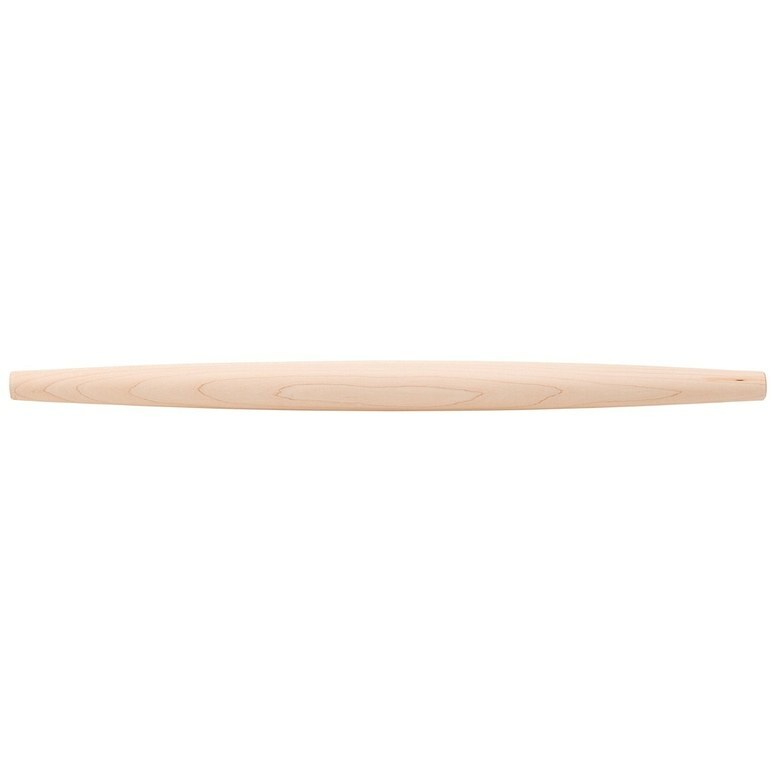 A rolling pin has the potential to make or break (literally) your pie crust and sugar cookie dough. Like a cast-iron pan, a rolling pin can develop a good patina over the years if cared for properly—never soak, seldom use soap, always dry fully, and wipe down with spoon butter every so often. Behold, the quintessential baking steel. “Aside from pizza, I love baking pies directly on the steel, especially ones that need to be blind baked,” Judy explains. “You can skip that fussy step and still get a crispy bottom. It will save you time and result in a tender crust since you’re less likely to over-bake it.” This is also an opportunity to make a decorative shell, say, with the aforementioned cutouts. Give the gift of oomph, delicate crumbs, and the dreamiest, fluffiest desserts by way of the balloon whisk. The way eggs are whipped into batter is crucial to the final texture of a cake, and this whisk—with its especially large, round, "balloon-shaped" end—preserves the beautiful airiness of whipped eggs while quickly helping you blend in other ingredients. The long handle and round stainless steel wires make for easy blending, whipping, and beating, whether making a show-stopping soufflé or an elegant meringue pie. Aside from being a delightful word (try not to smile when saying Bundtlette! ), this miniature version of the popular Heritage Bundt shape should get your baker excited about cake of any and all flavors. Nordic Ware is to Bundt as Kleenex is to tissue, so know that this is the real deal. Plus, if you feel inspired, there are dozens more cool shapes to choose from here. Inspire confidence right off the bat with a set of measuring cups shaped like trophies. The stoneware cups are adorned with gold details and state what will hopefully be true: "Best In Show Baker." Want more gift ideas? Check out our entire 2018 gift guidefor cooks, hosts, and everyone in between.